In 2013, Chris Johnson founded CAD Home Crafters, LLC with the vision to create homes with superior quality and craftsmanship. Chris is a 2nd generation home builder. Creating and renovating homes for today’s lifestyle is our passion. As a design/build firm, we are involved from concept to completion to ensure an exceptional client experience and superior quality. The expert construction managers at Alair Homes utilize our proprietary Client Control system to remove the uncertainty and stress associated with building a home or completing a renovation. Turner Remodeling takes pride and is committed to being reliable, fair, honest, courteous and professional to its customers. We have a mission focused on offering superior quality and service. Our home building company was created with your dream home in mind. Our experienced home builders want to dream with you and make your dreams a reality! We want to experience this with you. 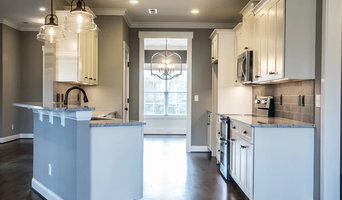 With the comprehensive team approach, Huckabee and Associates calls upon its best resources so that clients can receive guidance throughout the home building process. HousePro is locally owned and operated, and exclusively committed to the Triad area of central North Carolina. We are not a franchise, and we are not a handyman referral service. Amerimex is, and will remain, a family business dedicated to providing the utmost customer satisfaction by providing quality work and cultivating relationships. 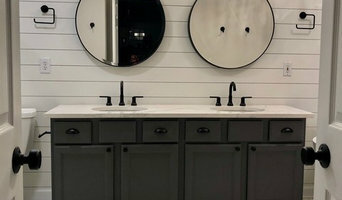 Voted best of Houzz 2019 in Service! 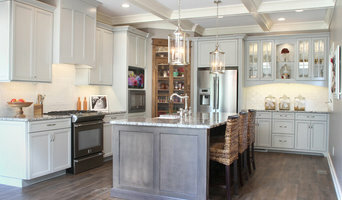 Bold Construction is the Triangle's Premier Custom Builder. Based out of Chapel Hill, Chatham County, Bold Construction builds the highest quality projects throughout the Triangle region. In addition to building high-quality projects, the Bold team focuses on delivering an exceptional building experience. The custom building process is as much about the experience as it is about delivering an outstanding final product. Imagine walking up to your front door taking in the view of the exquisite interior. As you open the front door, the quality of the home greets you immediately and you're surrounded by a sense of comfort and safety. But this home isn't just any home, it's your custom built home. It's the home of your dreams... and Bold Construction has made your dream a reality. Bold Construction's residential portfolio includes custom homes ranging from $600,000 to $4 million. Some of the finest homes in the Governors Club, Maida Vale, The Oaks, Chapel Hill Country Club, and other fine neighborhoods throughout the area are Bold Construction homes. Bold's commercial portfolio includes luxury condominiums, schools, office buildings, medical clinics, clubhouses, restaurants and more. Superior design, quality materials, lower maintenance materials, better energy efficiency, outstanding craftsmanship that ensures long-lasting beauty and a solid investment for your future, that's a Bold Construction project. Contact Bold today about your building project! Sophie Piesse Architect, PA, is a full service residential architecture firm that takes a team approach to make building or renovating your home an enjoyable and rewarding experience. We have been helping people enhance their homes and their lives through thoughtful, beautiful and sustainable design for over 20 years. Let us help you! Our studio enjoys working with clients that are appreciative of both the artistry of design and the process. We look for opportunities to push beyond the norm and investigate innovative materials, forms, and processes. We make a conscientious effort to be kind to the environment and look to mother nature as a resource of knowledge in our design work. Most importantly, we are our client’s advocate, we listen to your needs and desires, we will help you come up with a plan that incorporates your goals, funds and timeline, and then we will help you execute the plan acting as your facilitator, designer, and/or architect.